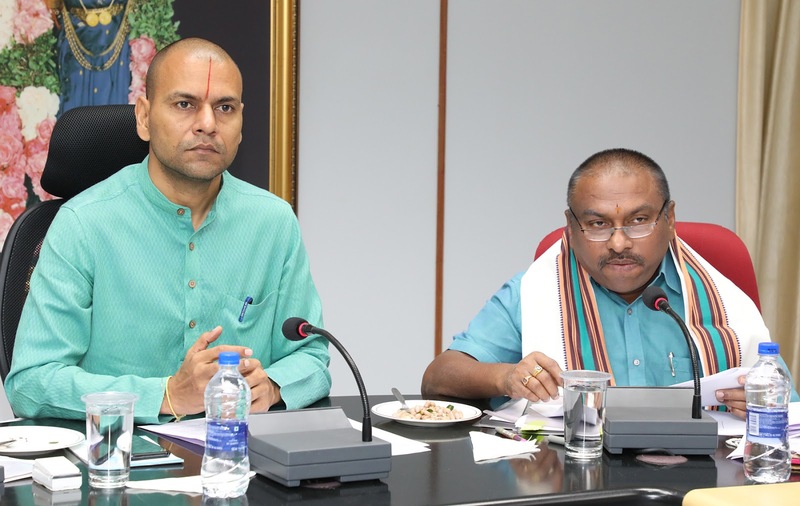 Tirupati, 5 January 2019: Electronic LED boards need to be set up to display TTD information at different vital places in Tirumala and in Tirupati, for better knowledge of the visiting pilgrims, said TTD EO Sri Anil Kumar Singhal. 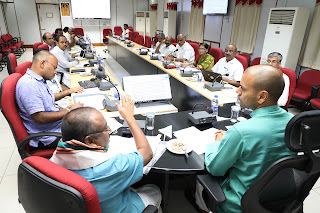 The senior officers review meeting took place at conference hall in TTD administrative building on Saturday. EO along with Tirupati JEO Sri P Bhaskar and CVSO Sri Gopinath Jetti reviewed on various activities. The EO instructed the concerned to place LED boards at vital places and junctions in Tirumala and Tirupati. 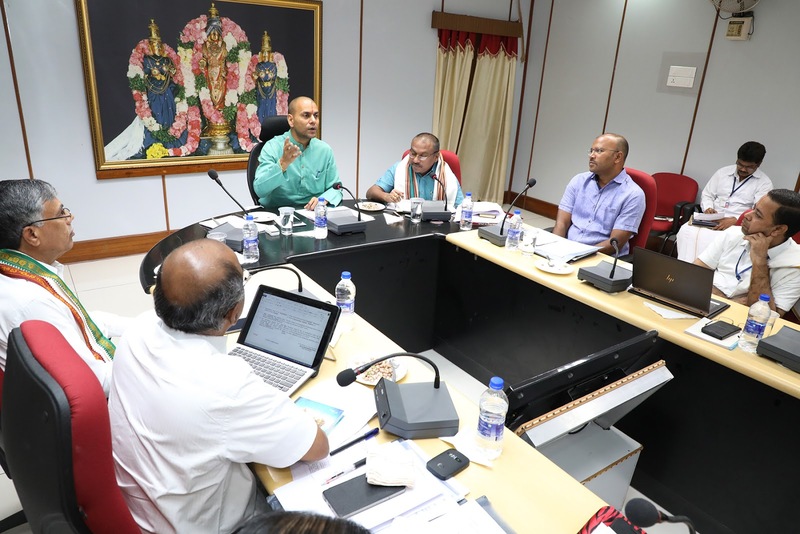 The boards should display the temple timings, about arjitha sevas, accommodation and other details pertaining to Tirumala as well about local temples. As soon as the pilgrim lands in Railway station or Bus station he should be able to know about his destined place of visit to avoid confusion", EO added. 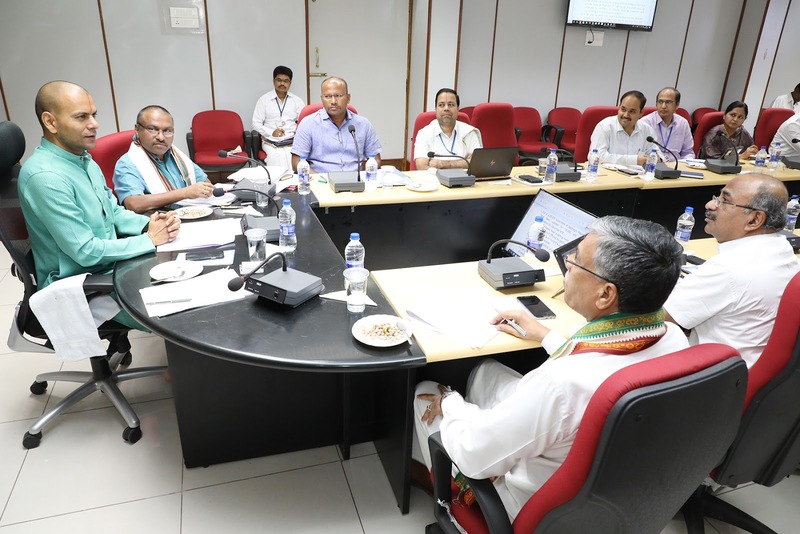 Later he said, the pilgrims who are coming with token based darshanams should be allowed to enter into the compartments only during their time slots. Vigorous publicity through announcements is required', he said. The EO instructed the engineering wing officials that cable wiring in mada streets of Tirumala to be completed before Radhasapthami. The wires and ducts are not be seen outside", he directed. Later he instructed the concerned to distribute Sapthagiri free of cost in the vernacular language of the area whenever Srinivasa Kalyanams are performed. 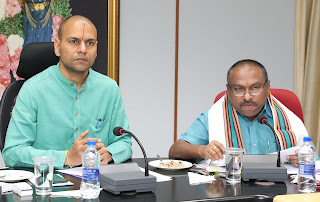 CE Sri Chandrasekhar Reddy, FACAO Sri Balaji and other officers were also present.